We are ringing the register this afternoon and declaring victory on DHR ahead of earnings. Jim Cramer breaks down what he was watching when Abbott reported earnings Wednesday morning. This was a very good quarter and the stock performance today is more of a reflection of the hatred for anything healthcare related as well as ABT's already premium valuation. Abbott reports earnings above its own guidance and that of Wall Street analysts. Qualcomm and Apple have settled their disputes, and Abbott and Netflix both released earnings. Jim Cramer weighs in on Abbott's earnings, Qualcomm's dispute with Apple is over and Netflix's earnings. China reported positive data, bolstering markets. Netflix had a beat on earnings, but faces fierce competition ahead. CSX is a thing of beauty. U.S. stock futures rise Wednesday, following on from Tuesday's gains that were spurred on by generally solid earnings reports; Qualcomm surges after the chipmaker ends its long-running dispute with Apple; Netflix's second-quarter forecast disappoints Wall Street; Sprint and T-Mobile slide after a report says their proposed merger is getting resistance form the Justice Department. UnitedHealth Group and Johnson & Johnson report Tuesday, Abbott Labs on Wednesday, and Honeywell, Schlumberger and Danaher on Thursday. Jim Cramer says this positive start will be hard to sustain this earnings season. He's got your game plan for next week. 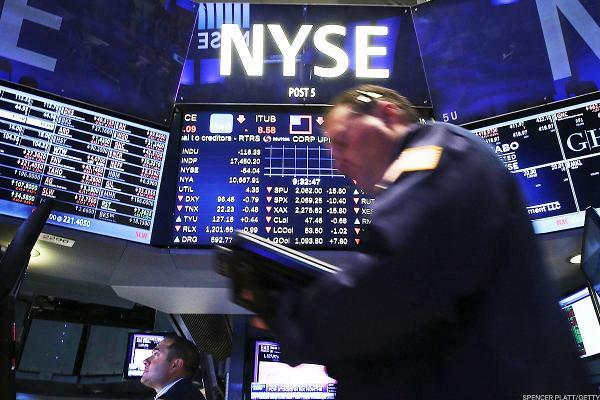 Stocks grind higher as earnings season kicks indexes into gear. Markets pushed higher as we gear up for first-quarter results starting next week. Markets move higher as investors shrug off slowing growth to focus on U.S.-China Trade Deal hopes. We have long cautioned on our member-only conference calls about the flush of IPOs coming to market and its impact to stocks. Stocks finish week sharply lower on worries over global economic growth slowing after earlier surging on Fed's more accommodating stance. We are encouraged with CVS Health's plans to fix what has hurt the company and we reiterate that the stock is still inexpensive. As much as we continue to believe in the company and its strong organic growth trends, discipline calls for us to lock in some of our big gains. ABBOTT PARK, Ill., March 20, 2019 /PRNewswire/ -- Abbott (NYSE: ABT) will announce its first-quarter 2019 financial results on Wednesday, April 17, 2019, before the market opens. Strong earnings boost shares in a rebound week for stocks. These stocks are moving on recent headlines.